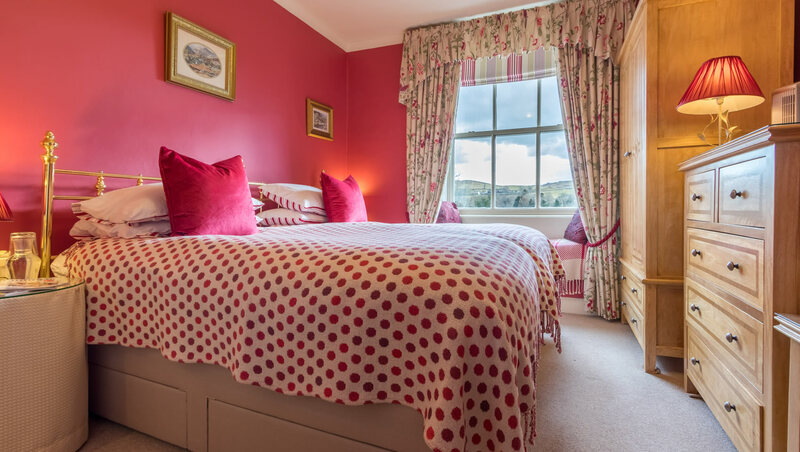 A favourite of guests, this bright and sunny room is recently decorated in rose and soft cream with delightful Laura Ashley fabrics for the soft furnishings. The Rose room is at the front of the house overlooking the Topiary Garden with a window seating area, providing an ideal place to view the garden, sit and read or write your travel journal. A twin room, with two single beds with brass headboards, and furniture made from light coloured mango wood inlaid with marble.